Traidcraft is the UK’s leading fair trade organisation and is dedicated to fighting poverty through trade. It sources products from farmers, growers and artisans across the world. At its heart are the relationships developed with its trading partners, helping them to develop skills and build sustainable livelihoods through trade. It is the only international development charity in the UK to focus on trade, delivering projects across the developing world, helping people to build the skills, knowledge and confidence to work their way out of poverty. It works to change unfair trade rules and company practices that affect people in developing countries, as well as raise awareness of injustices and build public support. 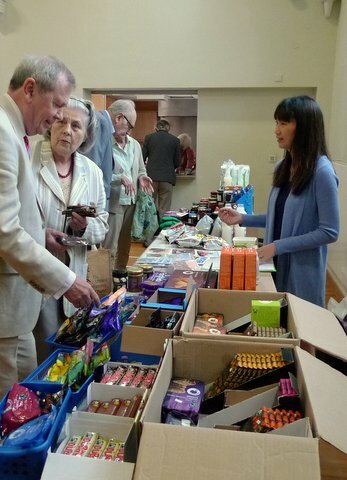 Trinity has a thriving Traidcraft stall every week after the service, with a wide range of products available.